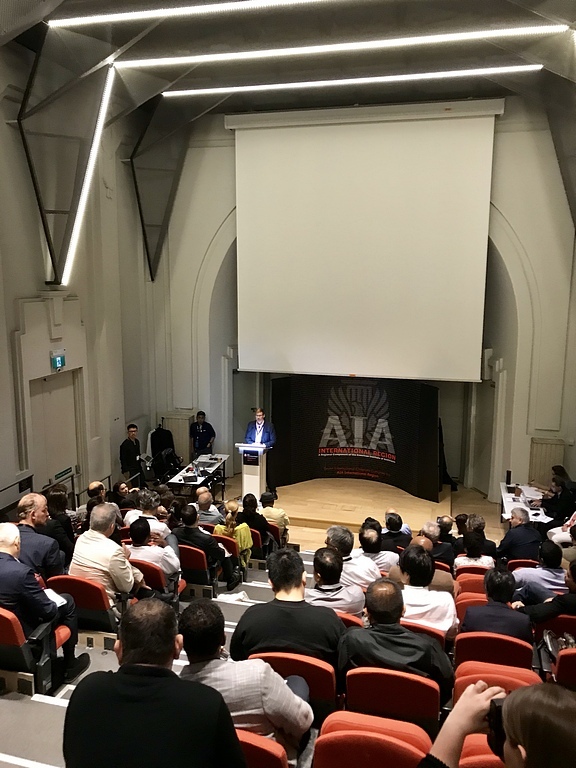 The 4th edition of the Annual Conference of the AIA International Region (AIA IR) was held in Singapore from Nov 2nd - Nov 4th, 2018. 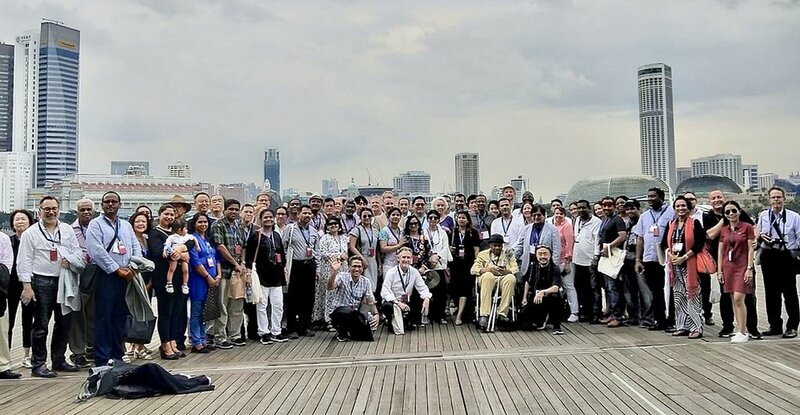 In Singapore for the first time, this AIA IR 2018 Conference began as an endorsement to a lone voice bid in Prague exactly a year ago for the honor to be city-host. According to Director Yew K Cheong AIA (Chair, AIA IR Conference Planning Committee) the bid was an opportunity to incubate and increase the voice of AIA to its member diaspora in SE Asia. Subsequently, it became a catalyse to entrench change and to cater to the need “to feel belong” for Unassigned Members. 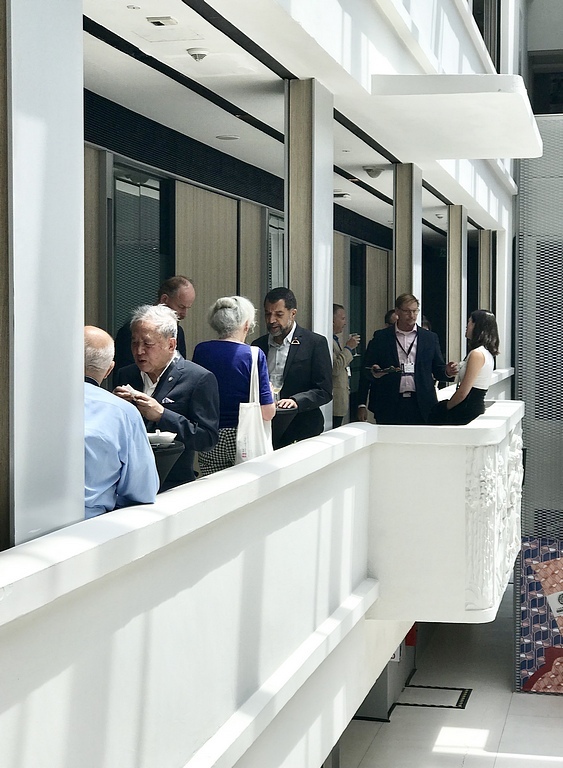 For President Thierry Paret FAIA (President, AIA IR), holding a Singapore conference was consistent with IR goals to drive engagement and empowerment in Singapore, and enhanced its relationship with Singaporean architects and architects from South-East Asia. In retrospect, both aims were met. 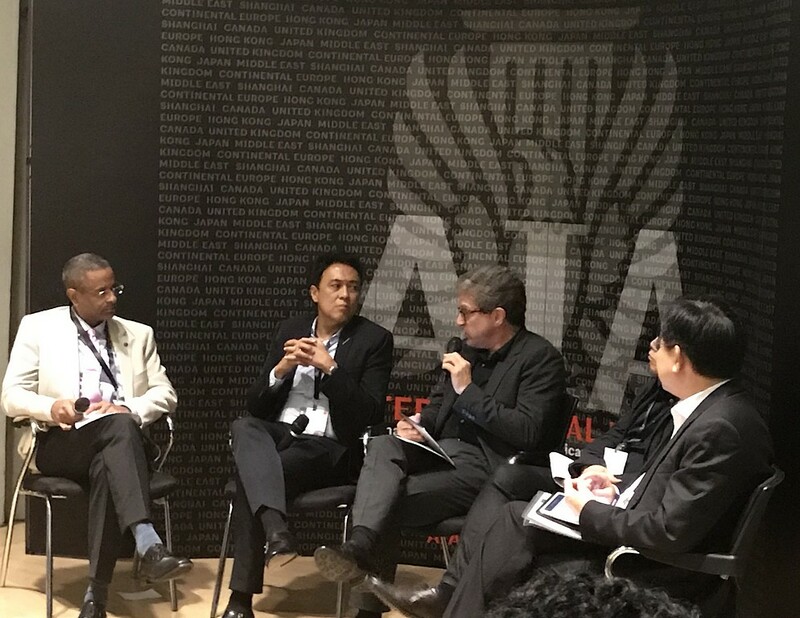 AIA IR 2018 Conference with the theme “CONVERGENCE- CROSSROAD IN SINGAPORE” examined three threads of convergence over three days, namely “Tradition and Innovation”, “Resilience and Sustainability” and “Wellness and Place-making”. Each day examined a thread led by keynote speaker(s). A moderated panel session offered a conclusion to each daily subtheme. Then, specially curated afternoon tours to award-winning buildings and sites connected design to the theme of the day. The conference offered insights to key issues, challenges, trends and exemplary projects on both global and local levels. A well curated set of sessions led to many serious and even light-hearted discourse featuring best-of class practitioners, leading architects and planners, academics and thought leaders on conversations relevant to the state of, and challenge, facing the architectural profession. AIA leadership networked with local agency and institutional leader to deepen relationships. In attendance was the AIA President elect, Bill Bates FAIA, AIA Past President Elizabeth Richter Chu, other leaders from the various AIA IR Board and Chapter heads, ARCASIA President Ar Rita Soh, ARCASIA Past Presidents Jahangir Khan and Ar Tan Pei Ing, SIA President Seah Chee Huang, Chief Planner, Singapore Urban Redevelopment Authority Hwang Yu-Ning, Singapore Board of Architects Ar Larry Ng, RIBA Singapore Chapter President Dr Goh Chong Chia, heads of architecture schools from both the National University of Singapore and Singapore University of Technology and Design. The conference was a total success with a sold-out capacity of 140+ strong participants from 19 countries, coupled with an early registration closure. Many great feedbacks were received from participants, from speakers’ selection, contents of talks, venues and even the delicious ethnic cuisine from the region. Preceding the 3-day conference was a Welcome Reception on the evening of Nov 1, 2018. One of the Conference highlight was the Gala Dinner and AIA IR Design Awards ceremony on Nov 3, 2018. This event culminated in the global recognition and award of AIA members’ international projects. Initial evening showers on the evening of Nov 1, 2018 did not deter the participants to arrive, some in their native evening splendors, to a highly chillax Welcome Reception on the Padang Terrace of the historic National Museum of Singapore. Overlooking the majestic view of the city in its twilight, on the 6th floor, food, drinks and music flowed amidst great fellowship. It ended with a by-invitation dinner hosted by President at a local favorite, Senso Restaurant, in the heart of historic Chinatown. The Conference started with a Welcome address by AIA IR President Thierry Paret FAIA and followed with Opening Remarks by AIA 2019 President elect Bill Bates FAIA, and by Director and Chair, AIA IR Conference Yew Kee Cheong AIA. Day 1’s subtheme focused on “Tradition and Innovation”. Keynote speaker, Jaime von Klemperer FAIA of KPF-NY set the tone with his talk “Designing Neighborhoods: Local culture and global practice”. The 2nd keynote speaker, Hwang Yu-Ning, Deputy CEO and Chief Planner of SG Urban Redevelopment Authority (URA), shared the agency’s planning journey and policy, “Planning Singapore”, which was very well received. Ar Soo K. Chan AIA, of SCDA was the last speaker for the day. A moderated panel session led by President Thierry Paret FAIA offered a conclusion with a discussion on “Singapore’s Model of Urban Development”. The afternoon tours explored the inner city of historic Chinatown, with first stop at the URA Center and subsequent guided walking tour around the nearby Telok Ayer Heritage area. Participants came away learning on how traditions are retained whilst reinterpreted into innovative solutions, when applied to conserving old buildings. Day 2’s subtheme focused on “Resilience and Sustainability”. Keynote speaker, Prof Illya Azaroff AIA of +Lab provoked with his talk, “Living by the numbers in 21st C: Proactive and Reactive”. This was followed by three speakers from the SE Asian regions, each sharing their thoughts and works on sustainability at different scale-ability and degree of integration. Dr Ken Yeang Hon FAIA of TR Hamzah & Yeang from Malaysia, followed by Richard Hassell SIA of WOHA from Singapore and Isandra Martin IAI of AndraMatin from Indonesia. The afternoon tour explored the award-winning Gardens by the Bay featuring the Supertrees and Conservatories, and the Marina Bay Sands Convention. Day 3’s subtheme focused on “Wellness and Place-making”. Keynote speaker, Yoko Kinoshita of ADH Architects with her talk, “How can architectural design contribute to Wellness and Place-making: Seeking clues through society and environment?”. The other speaker is Sam Oboh FAIA from AECOM. In a departure, two panel discussions nicely framed the subtheme, with each focus separately on Place-making Framework and Wellness Framework, both moderated by Dr Christine Bruckner FAIA. This was followed by a very engaging workshop with breakout tables and roundtable discussions on topics such as collaborative engagement, inclusivity and accessibility, wellness, community and liveability. Unique to this Conference on this day are two programs structured to leverage on Singapore’s strength, ie, Sustainable Design, so as for AIA IR to leave a legacy to the host Conference city. Firstly, the AIA International Presidents’ Presentations, each sharing their AIA sustainable initiatives around the different AIA IR chapters of UK, Central Europe, Hong Kong, Japan, Middle East, Shanghai and Canada. Secondly, a Memorandum of Commitment – Sustainable re-commitment involving collective signing and a group photograph. The afternoon tour explored a public housing, HDB Dawson Estate by SCDA, Enabling Village by WOHA and Henderson Waves by RSP Architects. The heavy downpour towards the end of the tour disrupted the walk along the bridge on Henderson Wave. But a few braved the rain and were rewarded with a majestic view of SG’s Southern Ridge. What a way to end the Conference with rain, an auspicious sign amongst the locale! The Gala Dinner, on Day 2, was a bespoke evening of fellowship and fine dining, on a chic contemporary SKAI restaurant and bar on the 70th floor of the iconic Swissotel- The Stamford, part of the Raffles City designed by IM Pei in the early 1980s. 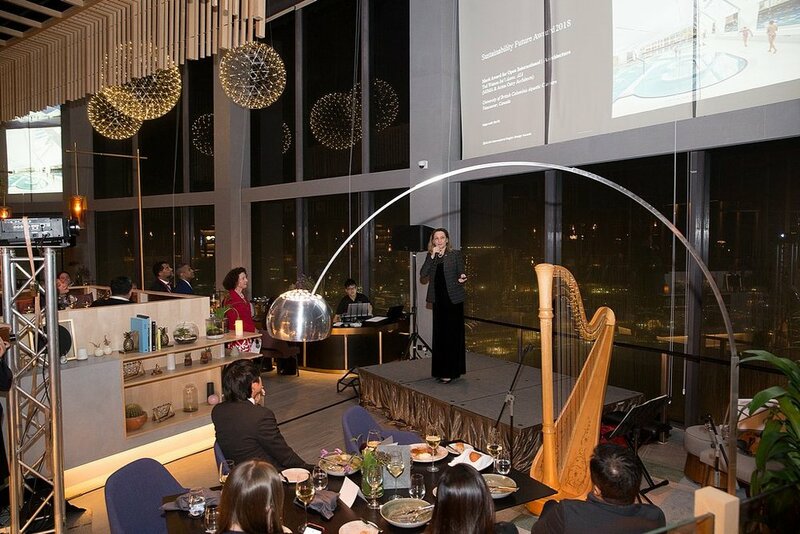 With the shimmering view of the city night skyline as part of the dining experience, and the harps and violin accompaniment, the evening was truly memorable, with a ‘top of the world’ feeling. 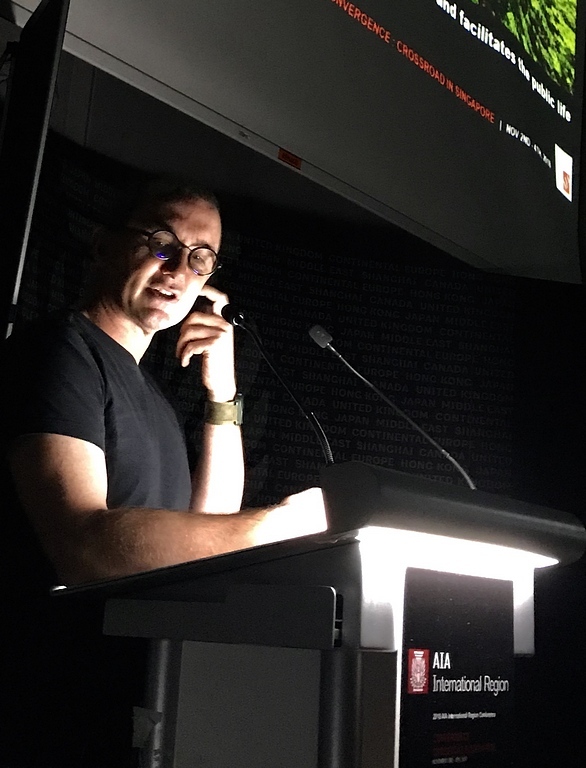 Earlier in the evening, guests were extended a warm welcome to a ceremony on the fifth edition of the AIA IR Design Awards presentation and conferment of awards. 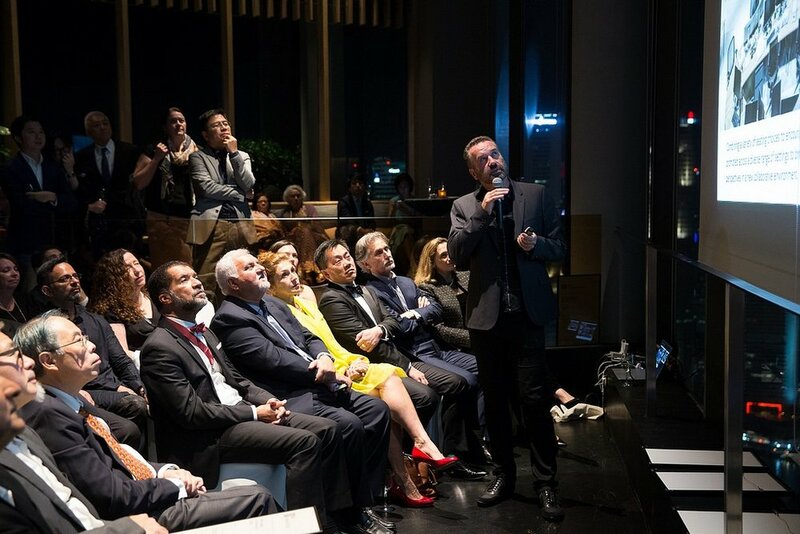 A total of 12 projects from 7 countries were recognized in five categories- Architecture, Interior Architecture, Urban Design, Unbuilt Design and Open International. In addition, four projects were chosen as inaugural recipients of the Sustainable Future Awards, with The Dow Chemical Company (Dow) as its co-initiator. The Singapore AIA IR Conference left behind two legacies. Firstly, a 2018 Memorandum of Commitment as a Sustainable Recommitment to letter signed in Kyoto 2015. Secondly, the inaugural Sustainable Future Award (SFA), with The Dow Chemical Company as its co-initiator. The SFA was introduced this year to honor projects that combine design excellence with sustainable excellence. Both legacies displayed momentous convergence in spirit, with AIA architects determined to make a better world. Day 3 (November 4, 2018) Speakers Appreciation (left to right):Greg Yager AIA, Kyoko…, Maggie Brooke, Hon. AIA HK, Pei Ing Tan Hon. AIA, Yew Kee Cheong AIA, Elizabeth Chu Richter FAIA, Thierry Paret FAIA, Rita Soh SIA, Cassia Patel TOS, Som Oboh AIA, Samantha Allen, WELL AP, Christine Bruckner FAIA. 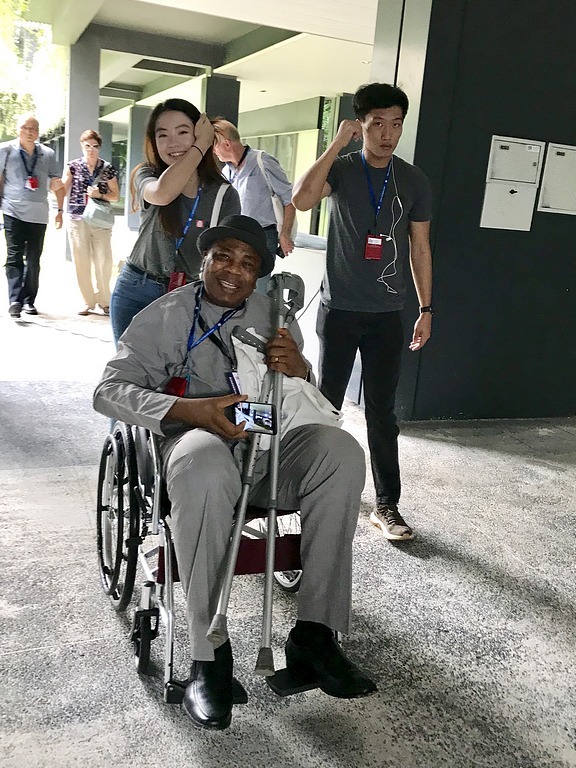 In retrospect, it is hoped the 3-day convergence of minds and bodies has succeeded to build an inclusive narrative that empowered every participant to the table of design. From this crossroad in Singapore, new fellowships are built and new roadmaps charted. A meaningful outcome for a well curated Conference.